Spring in Sydney, the time when the Jacaranda trees bloom. They barely have had time to loose their leaves before being adorned with sweet, almost unpleasant, purple, trumpet shaped flowers. Jacarandas are difficult to photograph, their magnificenct colour being lost against a blue Antipodean sky. I was fortunate to spot this one from a third floor window, while waiting for a meeting to begin. November winds and rain will soon scatter the petals. Regally carpeting the ground under the Jacaranda’s skeletal canopy of twisted branches. Gorgeous tree flowers. Beautifully captured!! 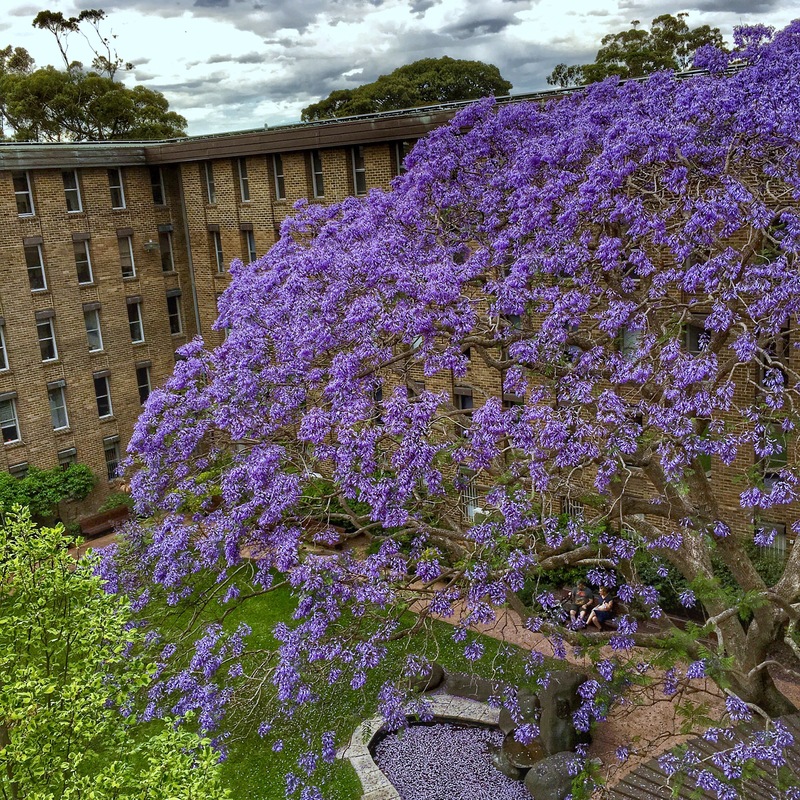 Gorgeous shot of Jacaranda indeed.